Meet the team and support them here. In December, a team of 8 Gutsy Challenge Trekkers will embark on an adventure of a lifetime. They will be climbing the 6,962 meters to the summit of Mt Aconcagua, located in Argentina. They have committed to not only climb Mt Aconcagua but also raise much needed awareness and funds for Gastro Intestinal (GI) Cancer Research. Acon-what? Aconcagua (Ah-kon-CAR-gwah) is the highest mountain in the world outside the Himalayas, rising 1,000m above its neighbours and visible from the Pacific coast 100 kilometres away. This will be a challenging climb which, with the altitude adding a further difficulty factor, will test the team both physically and mentally. 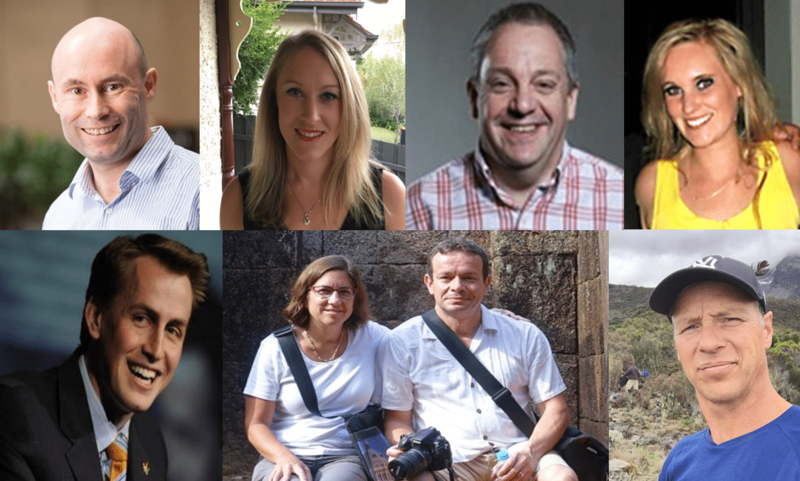 The Gutsy Team includes a number of leading oncologists and individuals committed to improving outcomes for GI cancer patients: A/Prof Niall Tebbutt, Brie Jelbart, Dr Lara Lipton, Dr Matthew Burge, John Deadman, Belinda Witchell, Dr Michael Bonning & Jason Long. Dr Michael Bonning is accompanying the team to ensure the health and wellbeing of the team. Putting this challenge in to perspective: Altitude will be one of the biggest challenges for the team – at 5000 ft up the mountain their 5kg backpack will feel like 20kg! This will be a life-changing expedition for the team! Some training photos taken at Mt Kosiusko provide great insight in to the challenge ahead. What are these Gutsy Trekkers aiming for? Raising awareness and $100,000 for GI Cancer research.